It is so easy in golf to be hard on ourselves, we use comments like “I’m so bad at putting” or “my golf is just rubbish”. Sentiments I’m sure we can all relate too at some time. But it is when we want to go beyond these feelings and start to improve this poor golf that we need to be more specific about our problems allowing us to go on work on the real areas that will make a difference. I don’t mean the general parts to our golf game like putting, chipping, driving, iron play etc. I’m referring to the specifics within these parts that need to be identified for us to really improve. I look at putting in terms of the specifics we are trying to control and for me they break down into 3 areas. (You could add the psychology in putting into a fourth component if you wanted to be more complicated). 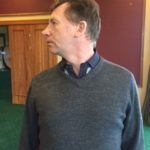 The point I’m trying to make here is that if a golfer is struggling with putting they first must ascertain which area needs some attention – although a golfer may think they are bad in all these areas, generally the problem manifests from one of these specific parts. Some people have suggested that maybe one of these controllable elements is the most important but in my humble opinion they all have their place of importance as they interact with each other. In this particular article I want to refer to two of the areas: – Direction Control & Distance Control. Let’s first of all look at the definitions of Skill and Talent according to a dictionary. Skill = the ability, coming from one’s knowledge, practice, aptitude, etc., to do something well. Talent = a natural ability or aptitude, something that we do not think about we just do it. Using these definitions direction control is a skill. 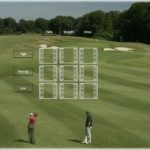 Our ability to manage direction in putting really shows up the ineffective or effectiveness of our technique. I would go as far as to say that all you are looking to achieve in your technique is the ability to hit the ball along the intended start line. Of course there are many different styles to a putting technique from grip to stance and even perceived putting paths, so I am not going to say any one is correct. However I would say that if your technique does not allow you to hit a ball along your intended start line then you need to set up your training to show this. A good example of this is to find a straight putt of no longer that 5/6 feet and use either a reference line (chalk line) or my preference would be to use putting ball gates. Specifically your practice needs to show directional control in its simplest form so green reading and a large amount of distance control need to be removed at this stage of practice. Going back to our definitions the talent of putting is our ability to control the pace of the putt. It comes from the ability to regulate the energy or force we use based around the tell-tale signs. Simple examples of this could be throwing a piece of rubbish into a pedal bin or the force we use to open a cupboard door. Throwing and catching a ball from person to person uses these same talents. Of course these talents need to honed and trained to be used effectively with a putter and that means a different type of practice and thought focus to our technical practice. Our attention needs to go away from our technique, it should be more on awareness of the hole, not on the mechanics of our stroke. Randomness of practice should be implemented here, playing games that encourage instinctive behaviour can be very useful. Hitting a putt and noticing where it has gone but not asking how I did it is the best way to develop this talent. Remember we want this talent to be able to respond to our green reading ability (tell-tale signs) not just on the greens we play regularly but when we go and play other courses. Standing on a practice putting green hitting the same putt over and over again won’t do a lot for this talent development. Ultimately our sports skill function will be the best that our technique will allow, if we are in good rhythm and don’t try to micro manage it, but sometimes you need to take a good look at the specifics to your game to be able to work on the right things.